Mayor Adler Wants A Task Force On Gentrification. We've Had Plenty Of Those. For five weeks in 2001, Karen Paup spent her afternoons with other Austin residents talking about the city’s changing Eastside. The group included a pastor, a developer and a now-professor at New York University. 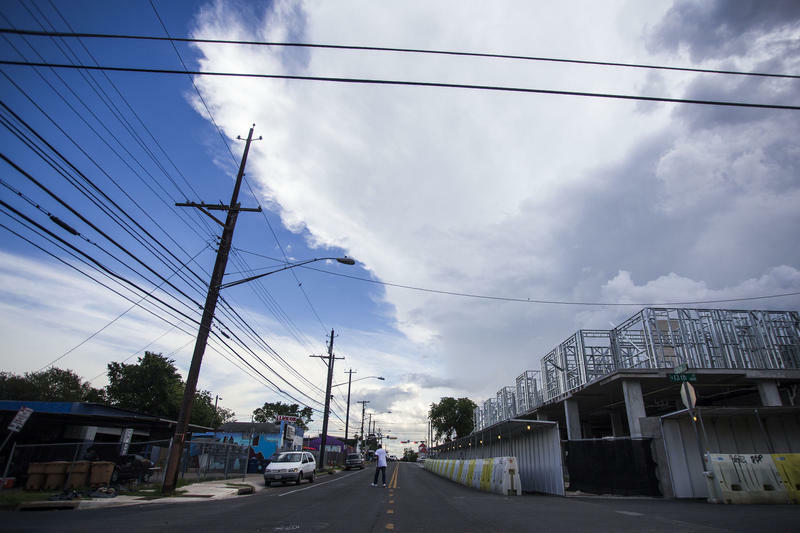 Eventually the committee came up with a dozen recommendations, many of which found their way into current discussions about ways to ease the effects of gentrification: community land trusts, homestead preservation districts and a moratorium on new development. Now, Austin Mayor Steve Adler is asking that a new task force be formed to study displacement. Council Member Ora Houston, who represents parts of Central East Austin, initially pushed back. “I think that the city of Austin does a really good job of doing studies and reports and forming task forces and then those recommendations regarding how to mitigate the thing that we’re studying really never get implemented," she said. But Houston eventually decided to support the item and will be a co-sponsor when it comes up for a vote at council on Aug. 17. She said while she's cautious of yet another study, she can understand the need given the quick rate of turnover in city leadership. “It's not that it's not something that's needed. We've got new people in town, we've got new players on the council," she said. "It’s probably OK that we’re doing this, but I don’t want this to be yet another one of those where we get recommendations and then nothing happens. ... In another 17 years, nobody will be here." As Austin has experienced growth during the 1990s – both in its population and in its economy – there have been growing concerns among many citizen groups about the impact of that growth on many of the neighborhoods in the urban core. 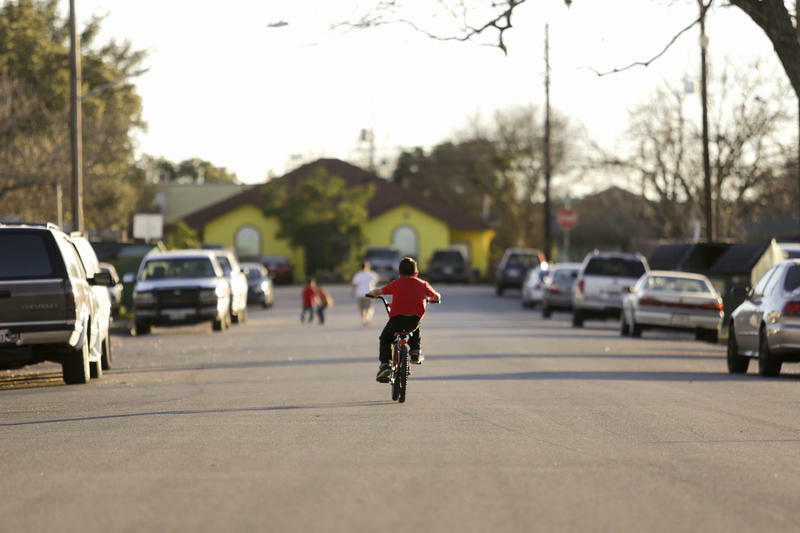 There is a heightened concern for those neighborhoods in East Austin that include a higher number of moderate-income and low-income households, relative to the rest of the Austin urban core and the Austin M.S.A. 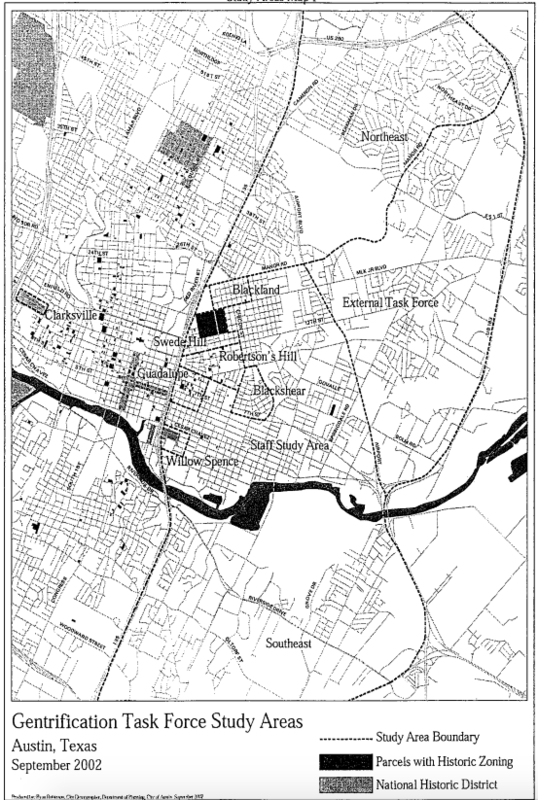 The 2003 group also published a dozen recommendations, many of which echoed those recommendations from the two reports prior – including educating residents about their legal rights regarding homeownership and identify surplus city land where the city could build affordable housing. The city was unable to identify a system in place to track the progress of recommendations from the 2001 and 2003 reports. Some recommendations have been accomplished, but Paup said she does not think they came directly from the report. For example, the committee recommended taxing new development in East Austin and reinvesting that money into affordable housing in the area. The city did not put that in place until 2015 – a lost opportunity, Paup said. “Unfortunately, it took so long for the city to implement it that a lot of the tax value that should have come into that district had just been absorbed into the city budget,” she said. Just last year, Adler announced a task force on addressing institutional racism. 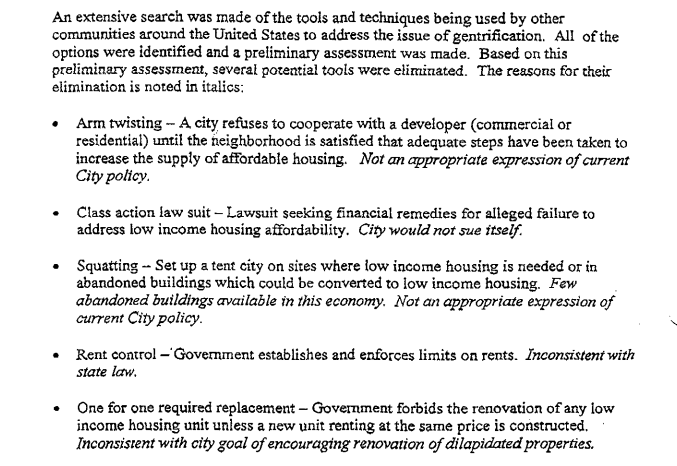 That report, published in April, included a section on housing. The recommendations from that group include the specific and abstract – things like linkage fees, which tax new development, and considering integration a “core value” of the city. Adler said this new task force could find that previous reports were adequate, and that the recommendations posed in them should be seen through. 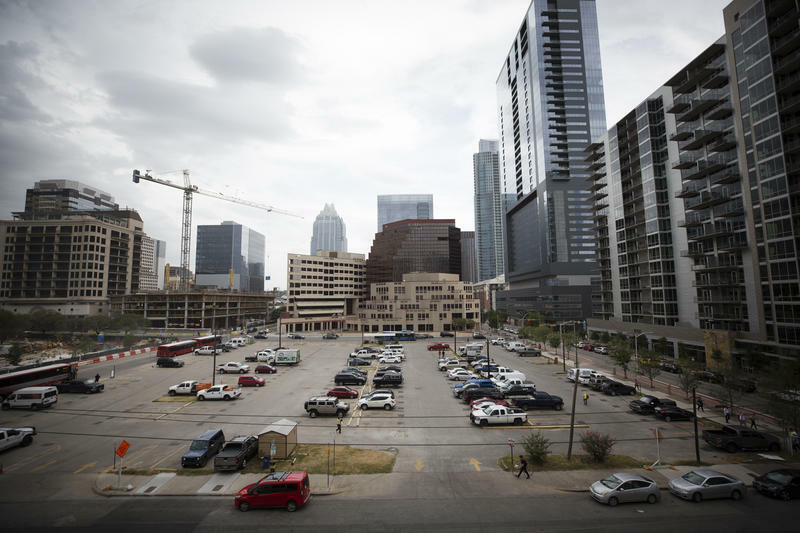 It’s hard to come by vacant land in downtown Austin these days, and the few empty blocks that remain are quickly being scooped up by developers. One of the area’s latest projects is at 308 Guadalupe Street. 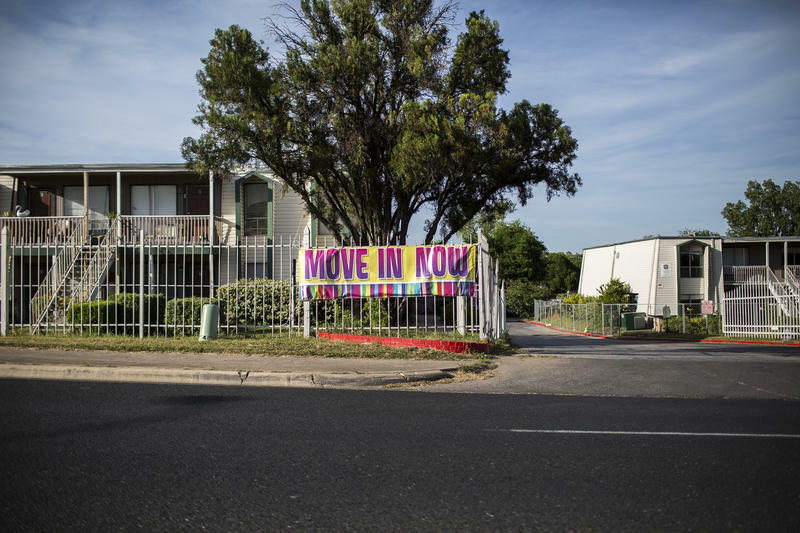 When we talk about gentrification in Austin, the conversation tends to center around rapid redevelopment on the city’s East Side. 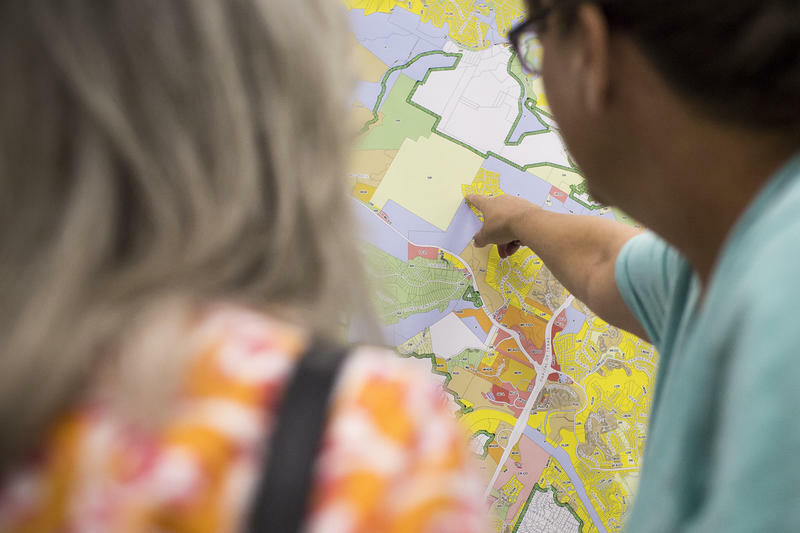 But residents of other neighborhoods near the city center have their eyes on the changes that Austin’s new land development code, CodeNEXT, could bring. To no one's surprise, Austin is one of the most expensive cities to live in in Texas. Residents here need to earn around $23 an hour to afford rent for a standard two-bedroom apartment, a new report finds. That’s more than three times the state’s minimum wage of $7.25.